Ariana: “Some individuals shamelessly say we don’t accept the name of Afghanistan and want to change it to Khorasan. Khorasan is a province in Iran. 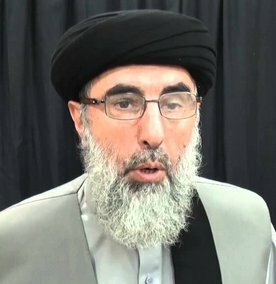 There is no one to hold them accountable and give them a lesson,” Hekmatyar said while speaking at a mosque in Kabul. Recently, Abdul Latif Pedram, leader of the National Congress Party, in protest against government’s decision to distribute the electronic National Identity Card (e-NIC) called for the name of Afghanistan to be changed back to Khorasan and the national anthem be changed from Pashto to Persian. Click here to read more (external link). ASK FOR AN ANDWER ????? 3- Through, the bribed Qajaris puppets (Herat). THAT IS A HISTORICAL FACT; please, check it all out ! The multi-frontal attacks of the armies on regular folks of Afghanistan were creating hacmvoc and gloomy impressions; in and around all of Afghanistan, (early 1800’s to early(1949’s) which lasted for several decades. It utterly ruined Afghanistan’ band eventually culminated into total defeat for the English Induan troops inside Afghanistan back then in early 1840’s. The name was based on that prolonged war situation and later pick up as the right name- in an order to honor those days and discourage further devastating similar incursions and attributed into the soil of Afghanistan . Ironicall, it did not help any- Afghanistan was attscked again and again by the same persistently-crazy Englisghnand and his rogue partners. As far as I know, most likely, it was associates with the battles and wars of expulsions during that time period. Afghanistan- I am just joking ! takes over, ((INSHAHLAH)), the governorship of the country; then, the right authority could easily deliberate and rightly decide on its status- after all it is their country and no body can take it from them. the hell out of warmongers. AFGHANISTAN, ((IN WHOLE OF ASIA)), ARE NOT ADDRESSED ON ETHNICITY BASIS. It basically points out to how the common Islamic cultural and languistic developments took roots as Islam spread through out various parts of Asian continent. I would like to mention that Koarahsahn is an Islamic regency to eastern domains of Islamic lands which could, in fact , cover all of the Eastern Islamic land; Central Asia, Afghanistan, Pakistan and east parts of Iran.